SEOUL (Yonhap) -- South Korea has approved the entry of the North Korean women's national football team to play in a continental tournament to be held in Seoul, government officials said on July 5. The North Korean team will arrive in Seoul via Beijing on July 18 for the July 20-28 East Asian Cup tournament, they said. The move comes as the two Koreas are trying to ease tensions on their divided peninsula. Officials of both sides are set to hold a rare meeting this weekend to discuss ways to reopen a joint industrial complex in the North that has remained shut down for nearly three months. Organized by the East Asian Football Federation (EAFF), the upcoming competition in South Korea will have the men's and the women's events. The women's tournament will bring together South Korea, North Korea, China and Japan. The women's tournament will end on July 27, one day earlier than the men's, and North Korea will depart on July 28, the officials added. On the men's side, South Korea, Australia, China and Japan will take the field. North Korea failed to qualify for the men's competition this year. The tournament will take the round-robin format. The all-Korea showdown is scheduled for July 21 at Seoul World Cup Stadium. This will mark the first trip by the North Korean women's football team to South Korea since the 2005 East Asian Cup. The last time any North Korean sports team played on South Korean soil was April 1, 2009, when the two Koreas clashed in Seoul for an Asian qualifying match for the 2010 FIFA World Cup. South Korea prevailed 1-0. In March 2008, 17 North Korean wrestlers traveled to the South's Jeju Island for the Asian championships, which also served as the continental qualification for the Beijing Olympics. A (South) Korea Football Association (KFA) official said last week North Korea appeared to be trying to live up to its obligations as an EAFF member state and also to improve inter-Korean ties through sports. The two Koreas have competed as a single nation at the 1991 World Table Tennis Championships and also at the 1991 FIFA World Youth Championship, a tournament now called the FIFA U-20 World Cup. They, however, have never competed as one or have formed unified teams for individual events at the Olympics, Asian Games or Universiades. South Korea is trying to change that. 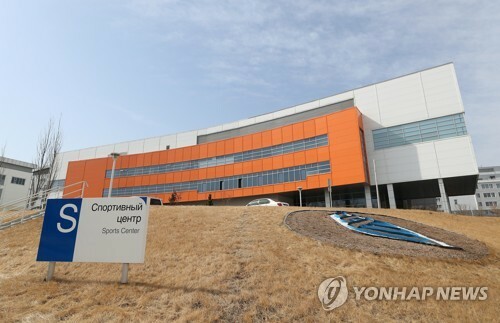 With the help of the U.N., officials in Gwangju, 330 kilometers south of Seoul, have been trying to field joint Korean teams for at least a couple of events for the Summer Universiade to be held there in 2015. The two Koreas have marched together under one flag at opening ceremonies for several multi-sport competitions but not since the 2007 Asian Winter Games in Changchun, China. This will be the fourth East Asian Cup for the women and the fifth for the men. 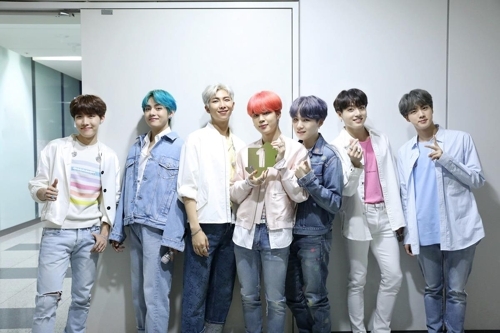 South Korea has won two men's titles and one women's title so far, while North Korea has finished third once in the men's event and has been the runner-up twice in the women's competition. On the latest women's FIFA world rankings, Japan is the highest-ranked country among the East Asian Cup participants at No. 3, followed by North Korea at No. 9, South Korea at 16th and China at 17th. SEOUL (Yonhap) -- South Korea on July 5 sent back home three North Koreans who were rescued off its east coast, government officials said. The North Koreans were rescued by a South Korean civilian vessel on July 3 after their boat capsized, they said. The three men were handed over to the North at 6:30 p.m. at the border truce village of Panmunjom after their wish to return home was confirmed, the officials said. SEOUL (Yonhap) -- President Park Geun-hye said on July 8 North Korea should never again flout an agreement with South Korea as in the case of its unilateral suspension of a jointly run industrial complex if the two sides are to build trust and improve relations. The remark came a day after the two Koreas agreed in principle to reopen the factory park in the North's border city of Kaesong. The complex has been idle since early April when the North abruptly withdrew all of its workers amid high security tensions. The two sides are scheduled to meet again this week to work out details. Park has been very critical of the North's unilateral pullout of workers, urging the communist regime to act in line with common sense and international standards, and pledging to stringently stick to principles in dealing with Kaesong and other North Korea issues. "It is fortunate that an inter-Korean agreement was made in working-level talks about the Kaesong Industrial Complex this past weekend and our companies are now able to retrieve finished products, raw and subsidiary materials and equipment (from the complex)," Park said. "Should inter-Korean relations fare well in the future, we should make an agreement that conforms to common sense and international standards. And that agreement should be kept without fail if we are going to build trust and establish relations in a forward-moving way," she said. Preventing the "recurrence of such a wrong thing like breaking the agreement is not only related to resolving the Kaesong complex issue, but (it is) important in moving inter-Korean relations forward," she said. 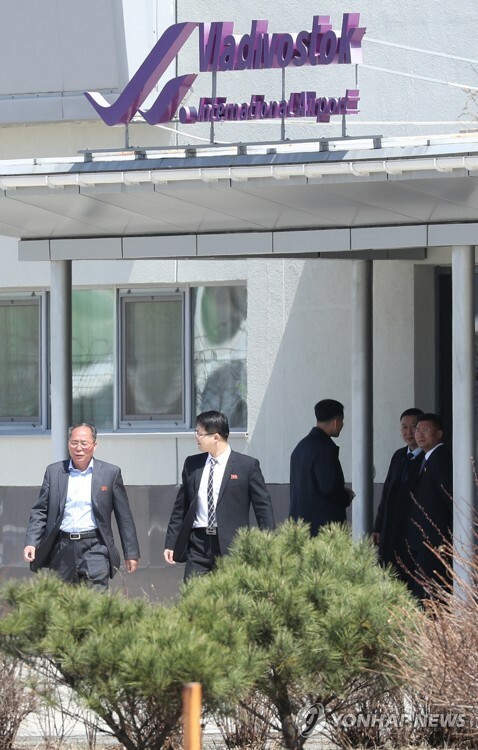 The weekend talks came after North Korea invited South Korean businessmen to visit the complex in a sign the regime is eager to reopen the factory park, a key source of hard currency for the impoverished nation. In response, the South proposed to hold official talks and the North accepted the proposal. Park also called for a thorough overhaul of the National Intelligence Service (NIS), South Korea's main spy agency that has been at the center of a scandal involving allegations that it attempted to engineer public opinion ahead of December's presidential election. "We should clearly uncover why such an incident happened. As the ruling and opposition parties have launched a parliamentary investigation, related suspicions should be thoroughly looked into to prevent a recurrence (of a similar case)," Park said of the scandal. "Since past administrations, the NIS has been a target of a lot of controversies. I think that the NIS should take this opportunity to be newly reborn," she said. Park said the agency should voluntarily come up with reform measures in a way that strengthens its main roles of collecting intelligence on North Korea, responding to cyber terrorism and protecting the economic security of the country. Park has disavowed any link to the scandal, stressing she had no knowledge of the acts, nor did she benefit from the alleged wrongdoing. But opposition lawmakers have accused her of being lukewarm about the scandal and even threatened to launch a campaign to make her election null and void. The opposition party has also claimed that the spy agency's disclosure of a transcript of remarks that late former President Roh Moo-hyun made during his 2007 summit with then North Korean leader Kim Jong-il was an attempt to divert public attention away from the election meddling scandal. SEOUL (Yonhap) -- South Korean private aid groups are scurrying to resume their humanitarian assistance to the North, which has been virtually suspended amid inter-Korean tensions caused by the socialist country's nuclear bomb test in February, sources said on July 8. 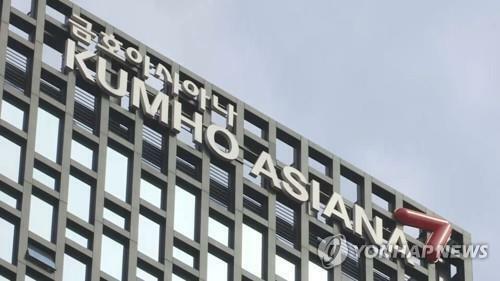 "Several groups are making internal preparations in order to resume their assistance projects," an official of a local aid group told Yonhap News Agency. 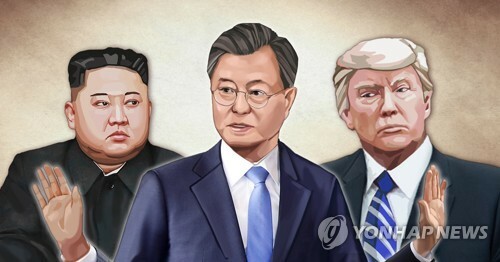 "Since the North's offer to hold inter-Korean government talks in June, the country has shown its intention to accept humanitarian aid (from the South) again and to resume private-level exchange and cooperation," the official said. Since the Feb. 12 nuclear test escalated tensions on the Korean Peninsula, the North has been dismissing local aid groups' requests for cooperation in sending food and medicine as humanitarian assistance to the North. Amid the tensions, South Korean private groups' humanitarian aid has come to a standstill from March. Christian charity foundation Eugene Bell was the only local aid group sending humanitarian assistance to the North after the February test. The group sent tuberculosis medicine to the North in April. A source well versed in the North Korean situation said that during a meeting held between South and North Korean religious figures in Beijing on June 13, the North Korean side raised the need for inter-Korean humanitarian aid as well as other non-political exchanges to resume. The rapprochement mood led local aid groups to reactivate their aid programs with the Ministry of Unification, which handles inter-Korean affairs, saying, "Three local aid groups applied in June for approval for their plans to send humanitarian aid goods to the North." The resumption efforts come amid the two Koreas' tie-mending moves. The countries agreed to reopen the suspended joint factory park in the North Korean border city of Kaesong during their working-level talks held over the weekend. It was the second working-level dialogue held between the South's Park Geun-hye administration and the North after they held one last month. SEOUL (Yonhap) -- North Korea has called for talks on resuming programs to reunite families separated by the Korean War and restarting South Korean tours to a scenic mountain resort in the North, the South Korean government said on July 10. The North proposed that talks on Mount Kumgang tours take place on July 10 and the family unions on July 19, Seoul's unification ministry spokesman Kim Hyung-suk said. He said that the North wanted the talks on family reunion and Mount Kumgang to be held either in the North's border city of Kaesong or at Mount Kumgang. The two proposals came from different North Korean organizations. The North's Korean Asia-Pacific Peace Committee, a party organization, requested for the Mount Kumgang tours to be resumed, while the country's Red Cross suggested that the family reunions take place around the Chuseok holiday. Chuseok, considered the Korean equivalent of Thanksgiving Day, falls on Sept. 19 this year. The spokesman said that the talks on Mount Kumgang tours should be put off until the ongoing talks on reopening the Kaesong Industrial Complex are concluded. "It is advisable at present to focus on Kaesong," he said, effectively rejecting the North's proposal on the cross-border tour. 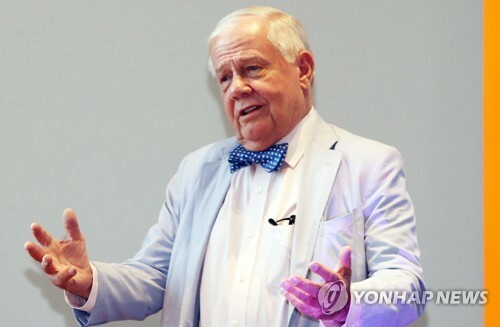 He said that in light of the pressing need to alleviate the plight of the separated family members, the government accepted the North's proposal for talks on family reunions, but suggested that the meeting take place at the Peace House, a South Korean building in the border village of Panmunjom. "The counter-proposal was made, and we are still waiting for the reply from the North," the official said. The proposal comes as the two Koreas ended a new round of working-level talks without reaching agreement on details to reopen the joint industrial zone, but agreed to meet again on Monday to resolve differences. Millions of Koreans have been separated since the three-year Korean War ended in 1953. A few thousand of them had temporarily reunited. There seems to be no obstacle to the resumption of family reunions. The last time family reunions took place was in November 2010. The tours to Mount Kumgang, launched in 1998, has been suspended since 2008 when a South Korean tourist was shot dead. 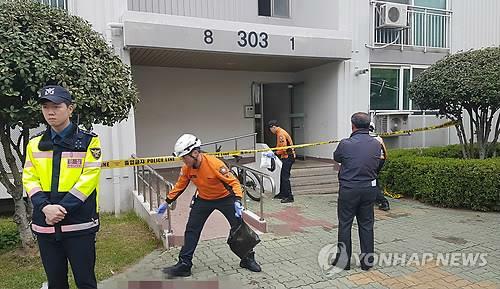 Seoul has since demanded the North provide assurances that no more innocent civilians be hurt, but the North has maintained that the tourist was killed because she entered a restricted area. A government official raised suspicions that the North may have some motive in making the proposals, but declined to elaborate. Seoul had frequently accused the North of trying to fuel internal discord in the South by calling for talks that it was not really interested in seeing them through. "The North should take steps to win the trust of the international community and strive to change itself," said the official, requesting anonymity. 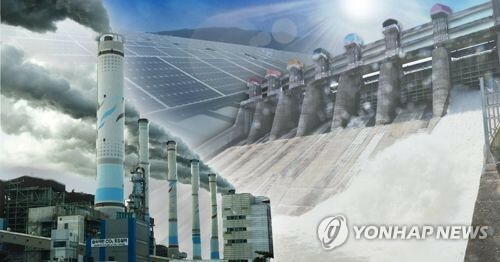 The unification ministry, meanwhile, said the North sent an advance warning that it has released water from a dam on the Ryesong River that meets the Han and Imjin rivers near the South Korean island of Ganghwa in the Yellow Sea. It marks the first time in three years that the North gave notice of a possible flood damage to the South.